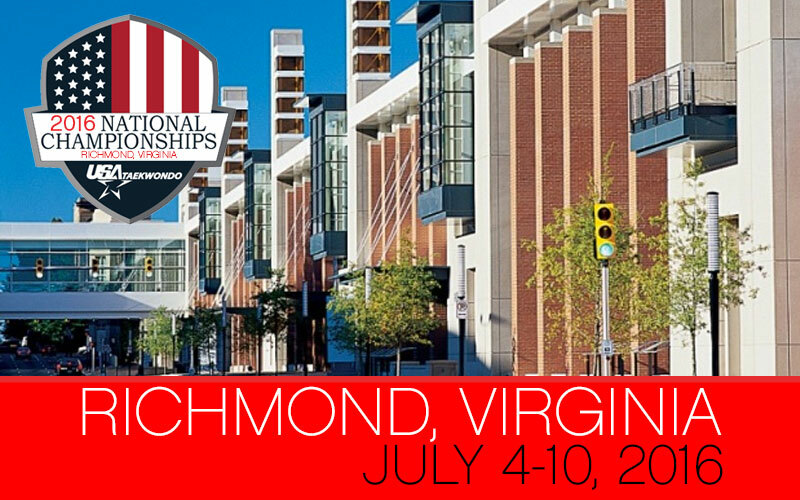 USA Taekwondo is excited to announce that the 2016 USA Taekwondo Nationals Championships will take place in Richmond, Virginia, returning to the east coast for the first time since the 90s. The competition will take place from 4-10 July - an additional day of competition compared to previous years, with on-site registration beginning on the 3rd, 2016 at the Greater Richmond Convention Center. Richmond is the capital of the commonwealth of Virginia and rich in history, being home to many key events in the American Revolution era with so much to see and do in those hours when you and your family are not involved in the competition.